Potential buyers for Iran’s beleaguered oil industry have “significantly increased” in spite of renewed US sanctions targeting the nation’s chief export, Tehran’s oil minister said Saturday. 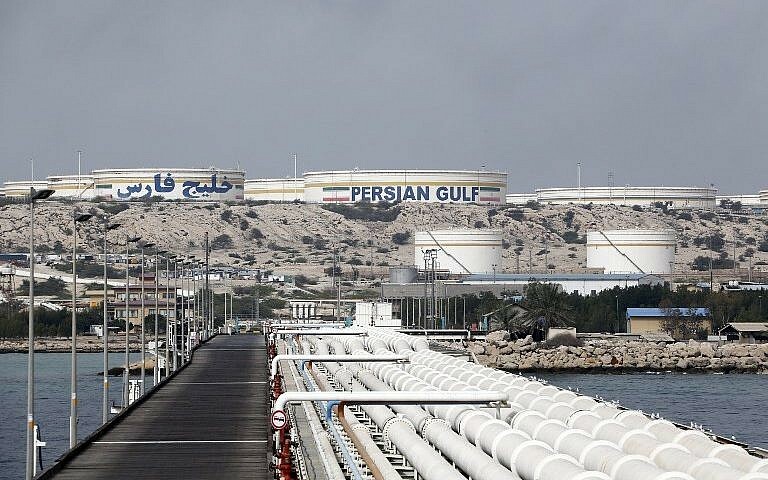 “China, India, Japan, South Korea and other countries that were granted waivers from America to import Iranian oil are not willing to buy even one barrel more from Iran,” Amir Hossein Zamaninia told the SHANA news agency, in comments translated by Reuters. Other countries granted a 180-day waiver from the sanctions by Washington included Greece, Turkey, Italy and Taiwan. The report appeared to contradict a report by Reuters last week that India has handed Iran a tax break worth hundreds of millions of dollars to green-light an oil import deal hindered by the sanctions. In November, US President Donald Trump’s administration reinstated all of Washington’s sanctions on Iran that had been lifted under the 2015 nuclear deal. The sanctions were the second batch that the Trump administration has reimposed on the Islamic Republic since it withdrew from the nuclear agreement last year. The rollback ended US participation in the Obama-era accord, which now hangs in the balance as Iran no longer enjoys the billions of dollars in sanctions relief it was granted under the deal in exchange for curbs on its nuclear program. Iran is already in the grip of an economic crisis. Its rial currency has plummeted and oil exports have steeply fallen. This entry was posted on January 5, 2019 at 3:59 PM and is filed under Uncategorized. You can subscribe via RSS 2.0 feed to this post's comments. You can skip to the end and leave a response. Pinging is currently not allowed.